Analytical leaders are renowned for their natural ability to analyze information using their critical thinking skills. They thrive in careers that others may find challenging, as they operate and even absorb information differently than most people. Believe it or not, even the smartest, most rational and logical brain faces unexpected challenges in the business world. They can fall into the trap of relying too heavily on their left-brain skills, and it can hinder their success as a leader. In order to grow as a leader and uncover unnoticed blind spots, it’s important to consider these challenges. Having more responsibility and moving up in leadership roles requires developing new skills to lead effectively and to work through others. Traits that have in past roles been strengths can turn into weaknesses when they’re not balanced in a leadership position. Being aware of these potential blind spots is key when developing optimal performance. 1. Develop intuitive decision making. Leaders have to make quick decisions; sometimes, they have to make those decisions without all the information available. For an analytical leader, this can go against their very nature. In order to feel comfortable, they want to go through all the data and establish connections. They may forget to be inclusive of others, relying solely on their own thinking, because that behavior has been successful for them in the past. 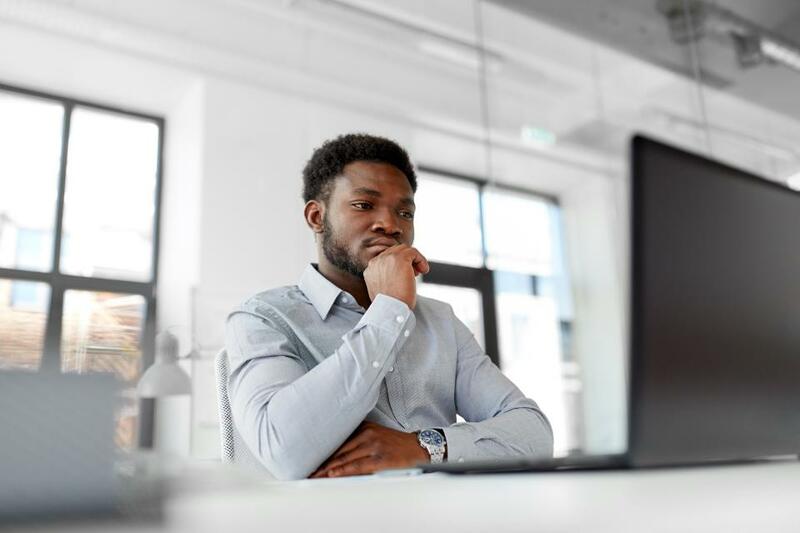 In order for analytical leaders to thrive and make the right decisions (even without having all information they think is necessary), they need to develop a sense of intuition by considering data that is not rational and begin to mature their right-brain skills. 2. Let go of structure. Analytical people tend to be very organized and structured, which does not always support other team members in their work progress. Perfectionism has the potential to slow down processes and stunt others in their creative thinking. Being able to let go of structure and operate well, even when things are not perfect, is essential when stepping into a leadership role. The “perfect” scenario rarely exists in today’s hectic business atmosphere. Analytical people need to see the value in developing a sense of groundedness and see the bigger picture even when there are chaos and a lack of systems in place. 3. Enhance your communication skills. Professionals who tend to be more analytical often prefer to communicate using facts and data. They can find it difficult to show enough emotion or appropriate empathy, which can make interpersonal interactions uncomfortable. In order to create a supportive office environment, leaders benefit from enhancing their communication skills. This is especially true in a leadership role, where the main responsibilities are to manage people, work through them and encourage and inspire them to take action. It’s especially beneficial to develop the ability to effectively communicate intentions. This is not solely for the sake of achieving results and hitting goals most efficiently, but to enable others to work with clarity and focus in an inspiring environment. Communication skills are vital to interpersonal relationships, in the office as well as during after-work hours. Analytical leaders often prefer to work by themselves, thereby impeding team cohesion. However, working in teams is inevitable when your responsibility includes managing them. This emphasizes how important the development of vital skills such as delegating roles and responsibilities is to the success of the unit. In order to optimize productivity and potential, analytical leaders need to learn to give others the opportunity to contribute to projects as well. The transition from a “me” environment to a “we” environment can be especially challenging for analytical mindsets. Although everyone procrastinates occasionally, an analytical personality may do it more often because they lose time researching information and wanting to wait until the results are perfect. Sometimes, trying to accomplish every task perfectly holds one back from accomplishing anything at all. Paralysis through analysis is very common for people who think a lot and who may even measure their worth through their results. It’s important to be incredibly productive and to be able to execute rapidly when it comes to leading a team to results. Being analytical is an amazing trait that enables people to have a great career. But in order to be successful in a leadership role, it’s important to develop right-brain skills such as creating and maintaining high-energy relationships and communicating effectively. There needs to be a focus on nurturing the skills to work through others instead of leaders doing all the work themselves. When stepping into a leadership role or wanting to optimize potential, becoming more of an all-rounder as a person can be very beneficial for the leader, their team, company culture and, ultimately, their bottom line. Are Your Employees Engaged At Work?